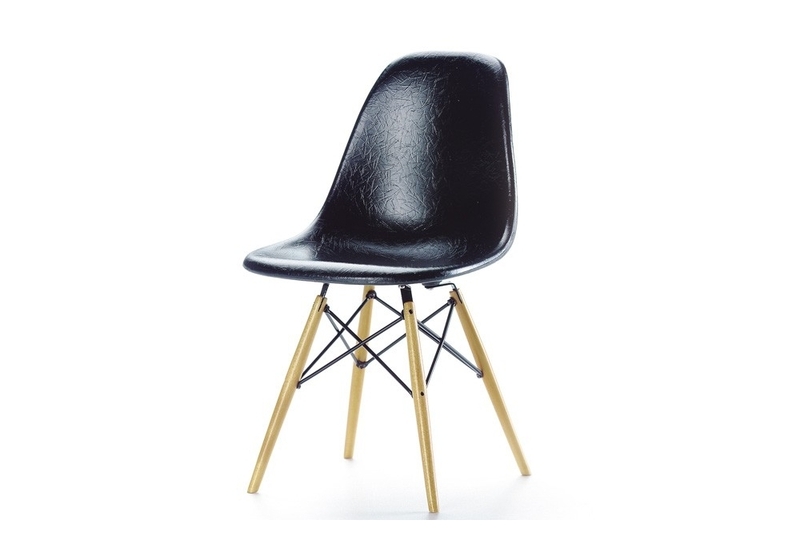 Vitra Miniature DSW, Eames: For the first time in the history of design, Charles and Ray Eames utilized malleability of plastic forthe development of a comfortable seating shell that corresponds to the shape of the human body. The idea of making a three-dimensional molded shell goes back to a design from 1940. Vitra Miniature DSW, Eames: The Fiberglass Chairs are rare examples of a satisfying synthesis of formal and technical innovation. For the first time in the history of design, Charles and Ray Eames utilized malleability of plastic forthe development of a comfortable seating shell that corresponds to the shape of the human body. The idea of making a three-dimensional molded shell goes back to a design from 1940. The original attempt to make the shell out of plywood was unsuccessful, however, due to the extreme conditions necessary to mold the material. Only with the advent of fiberglass technology was it possible to achieve satisfying results. 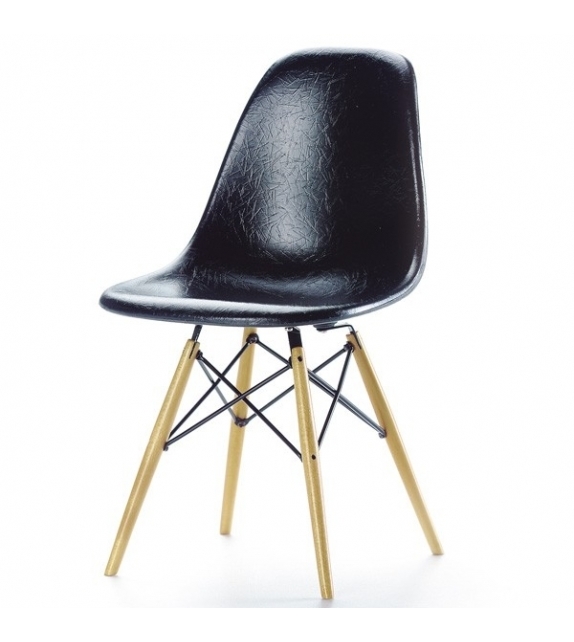 The first Fiberglass Chair went into production in 1950. 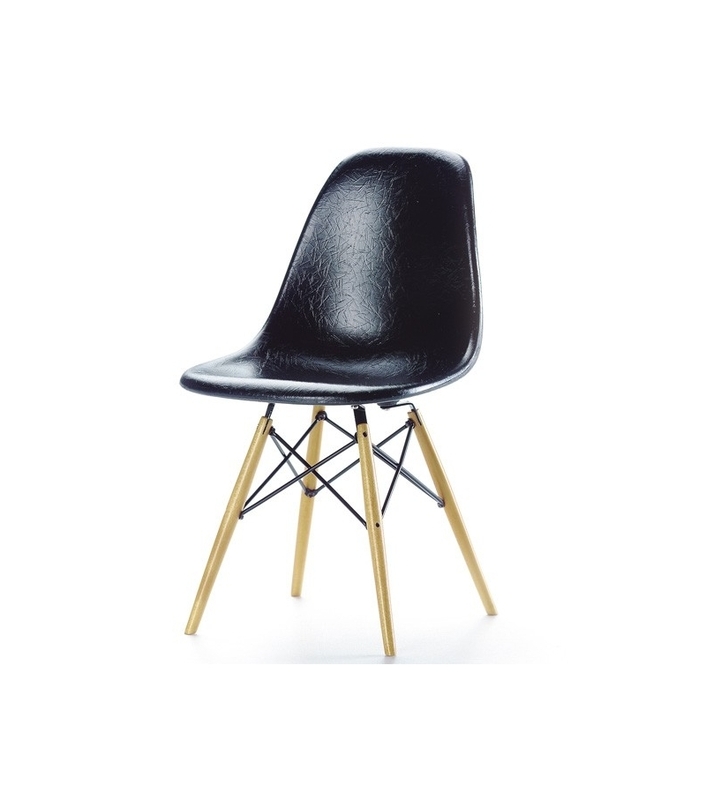 After years of experimentation, Charles and Ray Eames were able to realize their goal: an industrially produced chair that is inexpensive, sturdy, and comfortable. For ecological reasons however fibreglass was questionably. Thanks to recent advances in technology and materials, the DSW can be produced today in exact the same shape but made of polypropylene. Plastic shell, wooden/wire base.